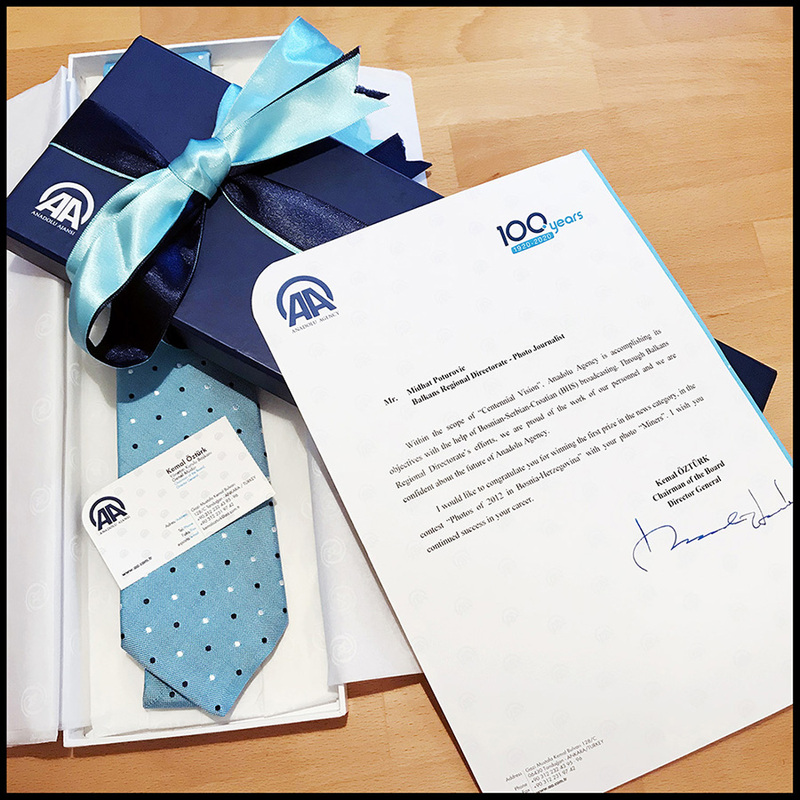 I was surprised and honored to get this special gift from Mr. Kemal Ozturk, the Chairman of the Board and Director-General of "Anadolu Agency". I am working for Anadolu Agency few months, my colleagues told me that I received the recognition which employees may receive maybe only after 10 years of work for the Anadolu Agency. I am honored to be one of the few employees who receive this recognition. Thank you for recognizing the importance of my work!